Every Spring we’re bombarded with “Vote For (insert team name)” fliers, pins, t-shirts and just about anything you can imagine. Unless you never see the world outside your dorm, you know what I’m talking about. Election season is in full swing. For the average passerby it’s a chance to pick up some free stuff on the way to class – free candy bar for voting, anyone? For others, it’s an opportunity to get involved and make a difference. Did you ever wonder what it’s like to be the person on the flier? CM sat down with University of Washington’s student council president, Christina Xiao, to find out what being president is really like. 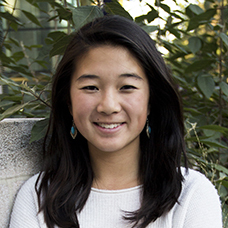 Last May, Christina Xiao won the 2014-2015 Associated Students of University of Washington (ASUW) election, making her one of the few Chinese-American women to become president of the school – an honorable feat. 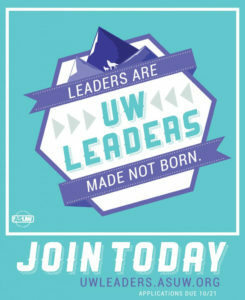 Upon winning the election Xiao told UW’s The Daily she never imagined when she came to UW that it would be possible for someone like her, a member of an immigrant family, to become president at such a large university. Xiao, a native Seattleite, is currently in her senior year majoring in informatics with a minor in geography. Her involvement with ASUW began in her freshman year after seeing a poster for the UW Leaders program. She then worked as an ASUW Experimental College Employee and interned for the Women’s Action Commission — but she’s she’s also been a campus tour guide, a peer educator for the Honors program and worked in a research lab. With all these accomplishments under her belt it’s safe to say that Xiao fits the presidential mold. While many think the position entails too much time and effort, Xiao said that she loves her new job as president despite its challenges. “The best part of my job is that I get to interact with so many different parts of the university every day,” Xiao said. She works with students, faculty, administrators and community members. One of the main concerns on campus is the lack of outreach between ASUW and the university community. Xiao wholeheartedly works to stay engaged with her fellow undergrads. She encourages students to attend ASUW events on campus and to not hesitate to email her with questions. If you think being student body president is nothing but a brag-worthy title and a nice office, you’d be surprised to know that there’s actually a lot of work involved. Xiao juggles huge responsibilities like serving as the CEO of the ASUW, representing students to UW decision makers and overseeing all external lobbying efforts at the city, state and national level. “Most days have a mix of all three of those areas,” Xiao said. Despite all the work on her shoulders, Xiao doesn’t let the job get to her head. She strives to continuously make changes to better the university, like providing additional funding to clubs on campus and selecting ASUW members to represent students at committees on campus such as the Office of Multicultural Affairs and the University Transportation Committee. These and others can be viewed on ASUW’s website. If there’s one word to describe Xiao it’s goal-oriented. A true visionary, many of Xiao’s goals for the school are ones that would greatly benefit us as students. At the top of her list? A more affordable college education. “Tuition, housing, and textbook costs continue to rise which makes it more and more difficult for students to be able to afford their education. Students are working increasingly long hours to pay for everything and it’s detracting from the educational quality that they can gain from the UW,” Xiao said. For starters, ASUW has organized their annual Huskies on the Hill Lobby Day, which allows students to travel to the state capital to meet with legislators and advocate for more education funding. She also hopes to build a relationship with the local city council to address issues such as the rising cost of housing around campus. This is especially important to address since the U District (the area of Seattle near campus) has seen a considerable rise in renting prices, making it difficult for students to afford living near campus. Xiao places a lot of emphasis on increasing the involvement of underrepresented groups in campus politics. One of the main ways she addresses this is through events like Elect Her, which encourages more women to become involved in politics. “I ran for president because I felt that I had gained a wide variety of student perspectives in my time at the UW, built the right skills to serve students well in the job and had solid goals to improve the UW experience for students,” Xiao said. With everything she’s accomplished and her plans for the future, Xiao paves the way for future ASUW presidents.